Home / Giveaways / Do you want the softest sheets on your bed? Do you want the softest sheets on your bed? When I first met my husband I had no idea what good sheets were. He knew all about the thread count, the different fabrics, and everything else that made sheets feel wonderful on your skin. I bought the cheapest ones I could find. We were a little different 14 years ago. I have since learned a lot about sheets and why what you are sleeping on matters. Cheap sheets don’t last, and even if you think that you are saving money, in the long run, you are not. They don’t wash well, they wrinkle easily, and they are so rough on your skin. 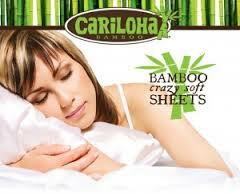 I was so excited to receive the Resort Bamboo Bed Sheets from Cariloha to review. These are fabulous sheets! These sheets are the softest I have ever felt, and I have had silk sheets that were pretty soft, not only are these softer, but they don’t snag or get thread pulls in them. The bamboo in these sheets makes them twice as soft as cotton. The other thing I got to notice during this past heat wave is they are cooler and breath so well. The bamboo fabric wicks away moisture from your body so you feel cooler and don’t wake up sweaty and yuck! Speaking of yucky, Bamboo is naturally hypoallergenic and one of the most sustainable resources on the planet. People have raved about bamboo and have stated that bamboo is so soft that it is alongside luxury fibers like silk and cashmere. I totally agree. I love these sheets, I loved them when they first came in the box and I love them even more now that I have washed them a couple of times and have them on my bed. It feels like I am getting into a bed in a top notch hotel, I don’t ever want to get out of bed. Cariloha Bamboo™ fabrics are made from bamboo viscose, rayon from bamboo, polyester from bamboo or bamboo charcoal, I am thinking I can get all of my clothing made from these fabrics, I just love the feeling of them. When it comes to sheets, they fit great, they don’t slip up which to be honest I kind of expected, and the top sheet is just the perfect size. I will say though my favorite part of the whole sheet set is the pillow cases, I know it sounds silly, but this fabric against my skin is just heavenly. I love the way it feels against my face and all snuggled up against it. If you are looking for new sheets, you really need to look at bamboo, if you are looking for the best bamboo sheets, you really need to look at Cariloha Bamboo sheets, I really just cannot say enough good things about them. 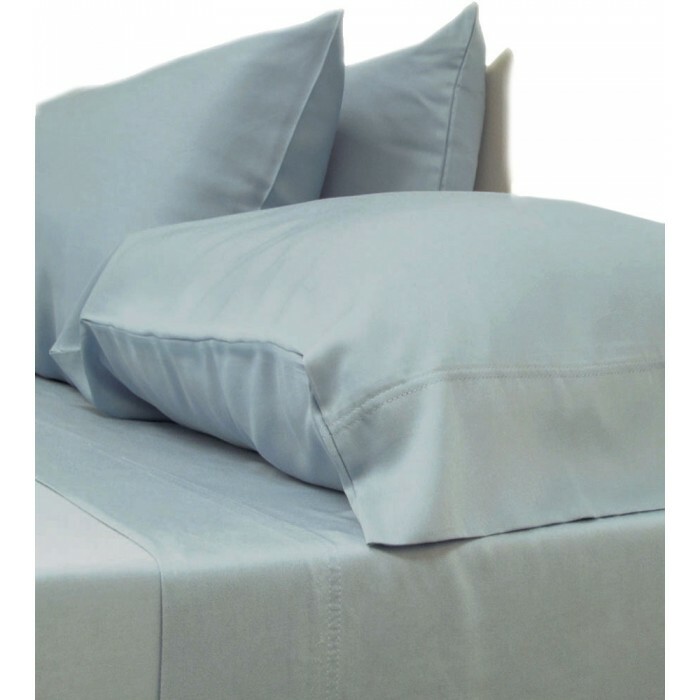 Each set includes 1 flat sheet, 1 fitted sheet, and 2 pillowcases. Fitting your mattress up to 18″ deep. They offer two guarantees, the first is the 90 day satisfaction guarantee that reads, Wear the clothing, sleep in the sheets, and try out your new item(s), and if you don’t fall in love with the softness and coolness of the bamboo material, then you can return it for any reason within 90 days for a full refund, less shipping charges. The second one is the Lifetime quality guarantee, that is, we believe in our bamboo products so much, that we also offer a lifetime quality guarantee. If you’re not 100% satisfied with the quality, then we’ll exchange the item for you. Simply go to Return.Cariloha.com or contact us at 1.800.884.5815 and we’d be happy to help. Or, if you are completely satisfied, we’d love to hear your passion for your new bamboo purchase! Previous post: Diono Keeping Precious Cargo Safer! We need some extra sheet sets for our new, larger bed. I would love to get a set of these. They sound so soft! I would love to try these sheets. I have heard such wonderful things about them.